Thank you for your interest in Chuckra’s Mock Exam Days. Please see the frequently asked questions about Chuckra Test Days below – split by info needed before booking and more details for on the day of the mock test. 1.1 Why should my child attend? 1.2 Where & when are the Mock Test Days? 1.3 What is the structure of a Mock Test Day? 1.4 Can my child attend more than one mock test day? 1.5 Are the same test papers used on each day? 1.6 What is the time allowed for each paper? 1.7 Are the test papers in standard or multiple-choice format? 1.8 My child will be set a Standard format paper in their real exam. Can they still attend? 1.9 Are the mock tests suitable practice for CEM (uni of Durham), GL Assessment (formerly nferNelson) and/or other examining boards? 1.10 Must my child do all subjects at a mock test day? 1.11 What practice should my child do before attending? 1.12 When will we get the results? 1.13 Must I pay anything to register on 11plus.co.uk and receive feedback from the Mock Test Session in COAsT? 1.14 What is the cost of attending a mock test session? 1.15 What is the Refund/Cancellation/Amendment Policy? 1.16 How can I book a place for my child at one of the mock test days? 1.17 How can I get my free gifts? 2.1 What must my child take to the mock test session? 2.2 What proof of booking is required? 2.3 May I settle my child in the exam room? 2.4 What time must we arrive? 2.5 Can I wait at the Test Centre while my child sits the test? 2.6 Can I see my child between tests? 2.7 When should my child be collected? 2.8 I have another question, who should I contact? 3.1 When will the results be available? 3.2 How do I access the results feedback? 3.3 How can I view the actual questions on the test? 3.4 Can my student redo the exam paper? We’ve tried to cover all queries you might have, but if we have missed something, please do not hesitate to contact us with your query. A big part of success in any exam is staying calm on the day and performing to one’s best ability. reading and/or listening to instructions etc. Where & when are the Mock Test Days? See: Official Chuckra Mock Test Centres for dates, session times and venue address. Already made a booking? LOG IN to your PARENT/TUTOR account and go to My Mocks to check your bookings. What is the structure of a Mock Test Day? The session structure might vary slightly across Test Centres i.e. Saturday/Sunday and morning/afternoon accordingly. See: Official Chuckra Mock Test Centres for the session structure at your chosen venue. Creative Writing will be included at Chelmsford (Essex), Tonbridge (Kent) and Canterbury(Kent) Test Centres only. In addition to providing creative writing as part of the mock exam, we are offering something even better – a Writing Feedback Service for use throughout the year. Can my child attend more than one mock test day? Yes. It is often beneficial to do so, as this provides the opportunity for your child to familiarise themselves with the process on the 1st day and then to have another opportunity to build on aspects that may have been highlighted as areas for improvement. Chuckra Educational is publishing four unique sets of exam papers for 2018 so your child can attend a maximum of four Chuckra 11+ Mock Exam Days. Are the same test papers used on each day? Chuckra Educational will provide four sets of mock papers (Tests A, B, C, D) which have been specifically written for Chuckra 11+ Mock Test Days and are not publicly available. Therefore, your child will be able to attend a maximum of four test days and complete a different set of papers on each day. Each set of papers includes English & Verbal Reasoning, Numerical & Non-verbal Reasoning (including Spatial Reasoning). It does not matter in which order these papers are sat as all four sets are similar in difficulty. NB: Some venues will hold more than 4 mock days to offer different dates for attendance, so be careful not to book the same papers twice. The same papers will also be used at the different venues, so if you intend for your child to attend days at more than one venue, please ensure you select the correct set of tests (A/B/C/D) at each venue to avoid them sitting the same tests again. What is the time allowed for each paper? There are two tests per exam day. Each test is split into sections which are timed separately, but the total time for each test is 45-50 minutes. See: Must my child do all subjects at a mock test day? Are the test papers in standard or multiple-choice format? The 11+ mock tests are all multiple-choice papers. See: Suitable for CEM / GL Assessment / other exam publishers? My child will be set a Standard format paper in their real exam. Can they still attend? Yes. The types of questions and level of questions in 11+ Multiple-choice papers and Standard format papers are very similar, so your child can certainly still benefit from the experience a mock test can provide. However, it is important that you clearly explain to your child that they will be expected to answer on a multiple-choice answer sheet. If you have not already been working through some multiple-choice papers at home, please print one from 11plus.co.uk and complete it at home prior to attending a mock test session to ensure your child is comfortable with multiple-choice answer sheets. Are the mock tests suitable practice for CEM (uni of Durham), GL Assessment (formerly nferNelson) and/or other examining boards? Yes, Chuckra has carefully analysed the types of questions and core skills being assessed by the major exam publishers when producing our challenging, high quality papers to provide the perfect opportunity for students, preparing for any 11 plus exam (CEM, GL Assessment, Moray House, CSSE and more), to overcome exam nerves whilst being assessed in a good cross-section of skills. Have strong core skills in English (incl. a large vocabulary), maths (incl. speedy arithmetic) and reasoning (verbal, non-verbal & numerical). Be comfortable to read or listen to instructions carefully and answer question types which they have or have not seen before. Manage their time effectively in an exam of any length. Stay calm and focussed under exam conditions while working speedily and accurately. Chuckra mock test days are highly recommended by parents & tutors in all regions as an invaluable experience for all concerned – student, tutor and parent. Must my child do all subjects at a mock test day? Yes. The test session includes test papers covering Mathematics & Numerical Reasoning, Non-Verbal Reasoning (NVR), English (Comprehension) and Verbal Reasoning (VR) because this provides a better evaluation of your child’s abilities and we can therefore give you a more in-depth report of your child’s strengths and weaknesses and most importantly insight into their ‘readiness’, compared to their peers, to pass their selective tests and go on to succeed in a challenging selective school environment. It allows your child the chance to attempt curriculum based questions in English and maths as well as non-curriculum specific reasoning questions. Taking both tests also allows students to master their time management and develop their ability to stay calm even if faced with some question types they have not seen before. Even if your child’s real eleven plus exam does not include all of the subjects commonly tested in 11+ exams, there is a lot of cross-over in the core skills required to complete each exam and there is great value in analysing your child’s scores across all the subjects when assessing their exam performance and areas requiring further work. Seeing that the driving force behind all LEAs recently considering/making changes to their current exams is to adopt exams which have a wider scope in an effort to test candidates more broadly and reduce the influence of excessive coaching on the selection process, we strongly believe it is best for all students (no matter which region) to attend test days covering all the subjects and hence Chuckra Mock Test Days in 2018 have been carefully planned to provide high quality mock exams which are suitable (and affordable) for all students who want to secure a place at their local Grammar or Independent selective school. Creative Writing will be included at Chelmsford (Essex), Canterbury (Kent) and Tonbridge (Kent) Test Centres only. In addition to providing creative writing as part of the mock exam, we are offering something even better – a Writing Feedback Service for use throughout the year. What practice should my child do before attending? It is advisable to make use of the 2009, 2010, 2014 – 2016 Mock Test Papers available in COAsT if you wish to assess your child’s ability now. This way, any weaker areas can be improved before the Mock Exam Days. The 11 plus Exam FAQ also provides more guidance on how to prepare for 11 plus exams. The mock test papers will be marked and made available for review in COAsT (Chuckra Online Assessment Tool) so you can go through each test at home with your child. Please allow 2-3 days from the test date to access your child’s tests & results in COAsT. Please do NOT email or call requesting the results prior to 3 days after the test date. Must I pay anything to register on 11plus.co.uk and receive feedback from the Mock Test Session in COAsT? No. 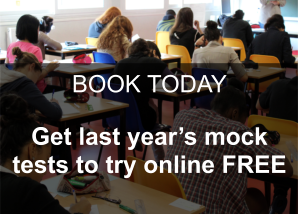 Your child just needs to have a free account for you to book a mock place, review their mock tests and receive feedback online in COAsT. Buying credits for COAsT is required if you would like to view detailed analysis and your child’s rank compared to other students on all other online premium tests (including past mock tests) and other quality practice tests. What is the cost of attending a mock test session? Only £70 (including VAT) per mock exam session. A set of super handy, printable Core Skills Booster Worksheets. £10 credits to try last year’s mock exams online AND one year’s access to around 5000 top quality online practice questions with full feedback – explanations, results and comparative analysis – in the new Question Shuffle feature of COAsT (The Ultimate Assessment Tool). Your child’s marked tests, results & rank (comparison to peers) online. Summary of your child’s strengths & areas in need of improvement. Explanations for each question while reviewing the test. Detailed feedback reports and analysis of the group’s performance. Each session is 2 hours 50 minutes and your child will sit two 45-50 minute test papers in the session. Also see: Are the same test papers used on each day? and What is the structure of a Mock Test Day? What is the Refund/Cancellation/Amendment Policy? Mock Exam Bookings can be cancelled up to 8 days prior to the scheduled mock exam session, subject to a cancellation fee of £25 for each mock exam session. The balance of the price paid will be refunded to the card used to make the original booking. Since spaces are limited, any cancellations made later than 8 days prior to the scheduled mock session are NON-REFUNDABLE. We regret that we cannot refund session bookings within the 8 day period prior to a mock exam day unless the test day in question is cancelled by us or details of the test day are significantly changed by us (for example, time, venue, date etc). Mock Exam Bookings can be changed to a different date up to 8 days prior to the scheduled mock exam session originally booked. Date changes are subject to availability and will incur an amendment fee of £8 for each session change. Any other booking amendment by you to an existing booking is subject to an Administration Fee of £8. How can I book a place for my child at one of the mock test days? Chuckra’s 11+ Mock Exam Days 2019 will open for booking in February. Results and feedback for the 2018 Chuckra Mock Test Days will be provided via our online system called COAsT. 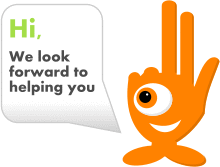 Therefore, all mock test attendees and their Parent / Tutor must have an 11plus.co.uk account – it’s free, don’t worry! Note: If you have already registered your child to use COAsT then you can skip steps 1 & 2. Just be sure to LOG IN to your Parent / Tutor account before trying to book. How can I get my free gifts? Once you have completed your mock exam booking, your student will have immediate access to Question Shuffle in their Student account. They can start practising by clicking ‘Do New Question’ on the Student Dashboard in ‘My 11 Plus’. You must be logged in to your Parent account to use your free credits to assign COAsT Tests to your Student. You can assign any tests, but if you want to find the 2017 Mock Tests, simply search for ‘2017’ in the search box in COAsT. To view your credit balance go to My 11Plus and click on My Credits. Need more help? Watch the video about assigning tests in the COAsT Tests FAQ. The bonus printed practice resource is only for students attending Tests A. It will be given to you at the registration desk on the day of the mock exam. What must my child take to the mock test session? Please ensure your child arrives with a few pencils, a good eraser and a good night’s sleep. Stationery should be carried into the exam room in a clear plastic pencil case / bag or no bag at all. There is a 20 minute break during which your child will have a chance to step outside the exam room, take a quick toilet break and enjoy a drink or snack so students should also bring a packed snack (if desired) and drink for during the short break. What proof of booking is required? Please ensure you have your child’s 11plus.co.uk Student Number to speed up registration at the test centre. Simply LOG IN to your Parent / Tutor account and then go to My 11 Plus > My Mocks to be shown your child’s Student Number next to their mock booking. You should also receive a reminder email (stating your child’s Student Number) 1-2 days before the event which can be printed, or shown on your phone, as proof of your booking on the day of the mock exam. NOTE FOR TUTORS: If you made the booking for a Student, please ensure you pass on the Booking & Venue Details to their parents accordingly. If they are a ‘Viewer’ on the student account, they will receive the above reminder email too. May I settle my child in the exam room? Registration will take place at the entrance to the exam room. You will not be allowed to accompany your child into the exam room itself. What time must we arrive? All students must be ready to enter the exam room when the session opens. Therefore, please ensure you arrive 10-20 minutes prior to the start of the session to ensure you are able to find parking and get to the registration table in time. It is important to allow time for a quick visit to the toilet just before the session too. Facilities are at the exam room. Can I wait at the Test Centre while my child sits the test? There is unfortunately no facility within the test centres for parents to wait, however there are usually a selection of interesting coffee shops or restaurants in close proximity to each venue. Can I see my child between tests? Unfortunately not, as this does tend to cause disruption to the flow of the session. So we ask that parents do NOT return until the end of the session. When should my child be collected? All students must be collected promptly at the end of the mock session. Seeing that our staff will have to wait with students, a charge of £10 per 15 minutes will apply for any students who have not been collected within 10 minutes after the session ends. Please either contact us by completing the online form (recommended) or call the office on 020 8123 7911 to speak to Malcolm who will do his best to assist you. Please allow 2-3 days from the test date for the results to be released, although it is often quicker than this. However, please do NOT email or call requesting the results prior to 3 days after the test date. The results/feedback for the writing section, which is only included at some test centres, will generally be released 1-2 days after the results for the other papers. How do I access the results feedback? Log in to your Parent/Tutor account and then go to My 11 Plus > My Mocks and click the blue ‘Results’ button to view the results and mock exam feedback page. How can I view the actual questions on the test? The mock test papers will be marked and made available for review in COAsT (Chuckra Online Assessment Tool) so you can go through each test at home (online) with your child. You can review the full test and the answers your student chose by clicking on the link to the test which is below the title of each paper on the results feedback page OR click on ‘review’ for that test on the ‘Activity Tab’ in ‘My 11 Plus’. When you click to review the test, the test will open for you to review online (including explanations). Can my student redo the exam paper? Since it is much more efficient only to work on the questions a Student gets wrong as opposed to spending time redoing questions they already got correct, all questions which your student got wrong or missed out will be added to their bank of Retry Questions so they can try them all again online (untimed) by clicking the ‘Retry Questions’ button on their Dashboard when logged in to their Student account. hi therei have booked for kent test canterbury. so do i expect only kent (GL Assement ) questions or a mixed question paper type, i.e CEM AND GL together? can you please explain which type of test my mock will focus on if i am sitting at canterbury? Do the children have to wear school uniform when attending a mock. Also, where do they put their bottle of water and snack for the break, are they told where to wait in between. Many thanks. No need to wear school uniform. The snacks and water situation might vary depending on the space available at the exam centre. The examiners will guide students at the start of the day. Where in Barnet is the test centre and also is it Suitable for Dame Alice and QE Boys? Yes, the tests in Barnet are suitable. Please see the info page for Barnet Test Centre and this FAQ about what is included in Chuckra Mock Exams. Can you kindly inform me how long the exam results will be available to view on my account? You will be able to review your student’s mock exams for the duration of the mock exam season for this year, so until the end September. Full feedback (including rank) of your student’s mock exam is available when you log in to your Parent account and then simply go to My 11 Plus > My Mocks where you will see a blue ‘RESULT’ button next to the booking. Click that ‘RESULT’ button to view the feedback page. If you need help logging in to your Parent account, please send a support ticket via the contact us page. Are you confident with numbers?